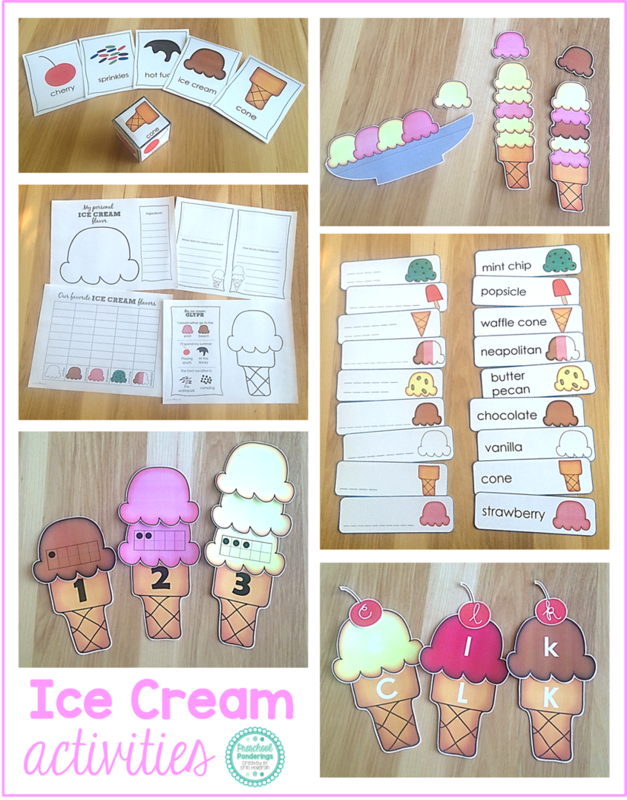 Ice Cream centers: This set includes 5 activities that are sure to keep your students busy (and probably giggling). 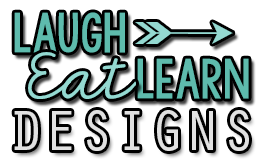 Children can create their own ice cream flavor and write about the ingredients, answer questions about ice cream, graph their favorite flavors, and complete an ice cream glyph. It also includes a dice game where students get to roll the dice and collect cards to "build" an ice cream cone. 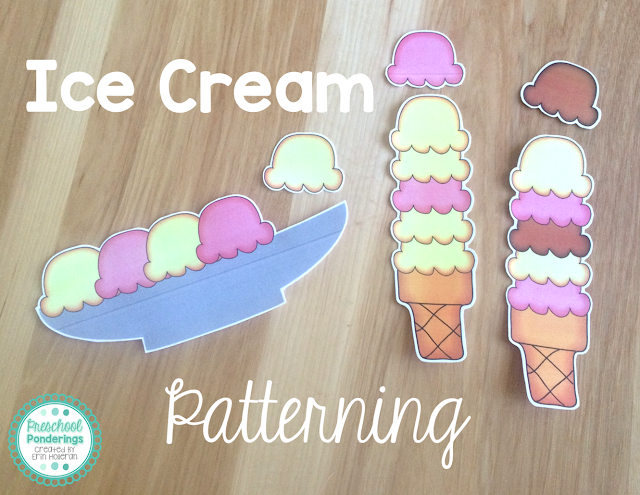 Ice Cream Patterning: How cute is this patterning set?! It includes ice cream cones and sundae bowls where children can practice ab and aab patterns. 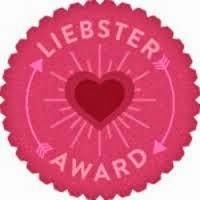 It also comes with empty bowls, cones, and plenty of ice cream scoops so children can complete patterns or create their own. 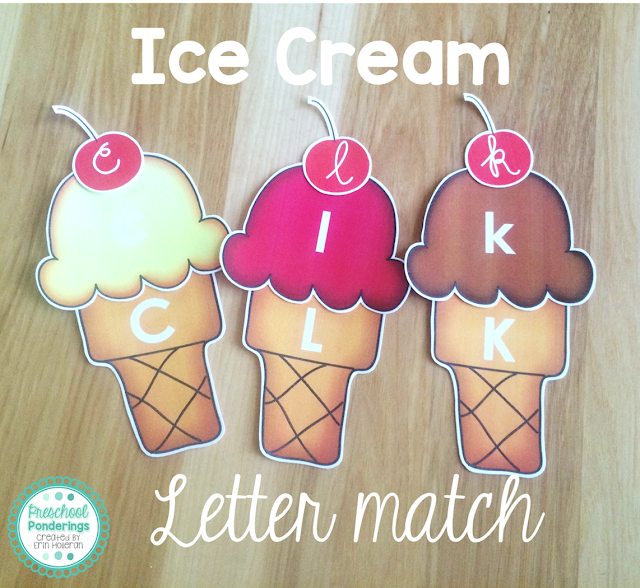 Ice Cream Letter Match: I'm convinced that there is no better way to practice letter recognition than to use ice cream! 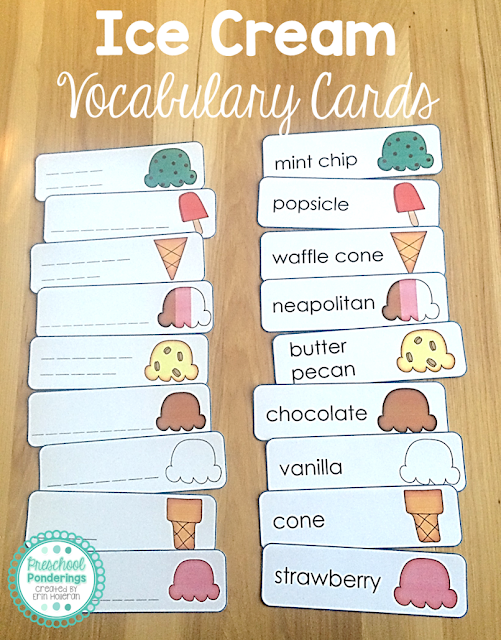 This activity asks children to match capital letter cones with lower case letter scoops, AND for a little extra, see if your students can match the cursive letter cherries too. 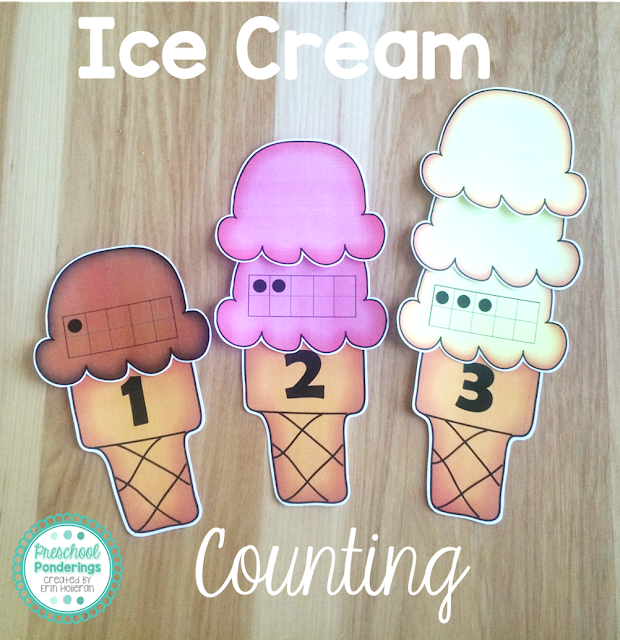 Count the scoops: This has been one of my favorite summer counting activities for years, and the idea is so simple. The number on the cone corresponds with the number of scoops each cone gets. The scoops are color coded to help student be successful - there is only one brown scoop, two light pink scoops, etc. Ice Cream Vocabulary Cards: These vocabulary cards are my favorite way to introduce children to new ice cream flavors (we might even sample them! 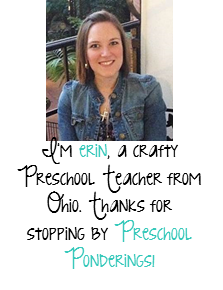 ), and also to encourage writing practice.